Couple of days ago two CCTV footage of shop lifting and robbery in Pokhara, Nepal became viral on social media. The video was broadcast on Youtube by Apil Tripathi of Falano News from Pokhara. There were two shops being robbed by thieves one in daylight and another in night. In the CCTV recording two shop liters approached to a mobile shop in Mahendrapool, Pokhara and stole one laptop and 6 smart phones from the shop. In another incident a solo robber breaks into a jewelry shop in Ram Bazar, Pokhara and calmly takes cash and valuables. After investigative reporter Apil Tripathi published the video on social media site with those CCTV footage, Pokhara police have been able to arrest the culprits. The criminals are now in police custody in Kasti District Police office. Miss Nepal 2018 Shrinkhala Khatiwada returned from China participating in Miss World 2018 competition. While she was arrived in Kathmandu airport at mid-night there were hundreds of members of public and media representatives welcoming her back home. Shrinkhala Khatiwada won two of the awards including 'Beauty With Purpose' and 'Multimedia Award' in the Miss World 2018 beauty pageant. She is the first Miss Nepal to receive huge support from public and media as well. During a welcome back ceremony Miss Nepal World 2018 Shrinkhala Khatiwada shared her experience of Miss World 2018 contest with media. She even answered some questions from the floor. In a point Miss Shrinkhala even expressed that she wants to be a first woman Prime Minister of Nepal. We also welcome her back home. Our best wishes are always with her. We also want to see her becoming Prime Minister of Nepal one day very soon, good luck to Shrinkhala Khatiwada! Are you fan of singer Melina Rai? 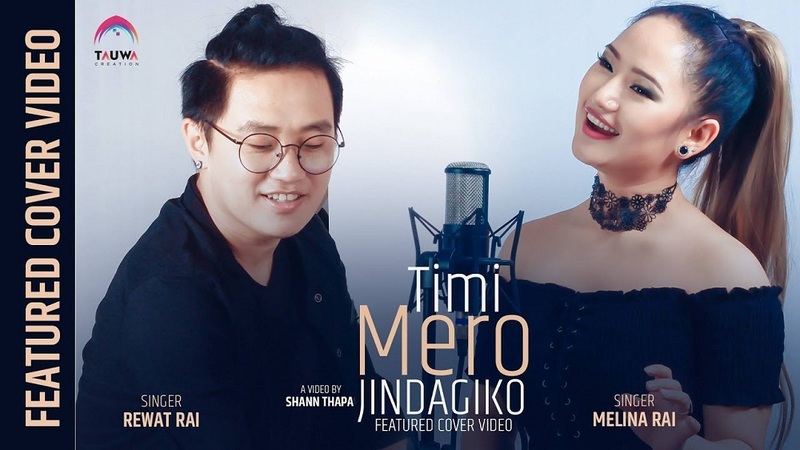 Have you had chance to watch Melina Rai's new video 'Timi Mero Jindagiko'? Shann Thapa directed new Nepali song video featuring singer Melina Rai and Rewat Rai is on Melina's own Youtube channel. 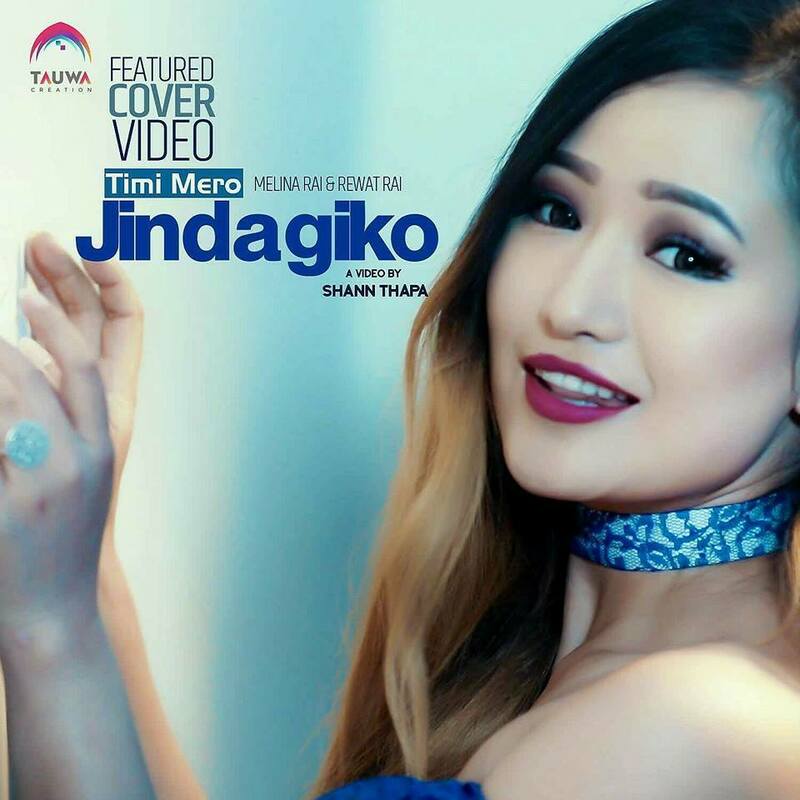 Jagat Nobit's words and music composed by renown musician Tara Prakash Limbu, song 'Timi Mero Jindagiko' is a romantic song. Words are played around love and romance. Melody of the song is plain in slow flow, you can score an average song of Melina Rai. Video recording and editing both are skillful featuring both singers in a frame. However, direction of the video could have been much better than this. Anyway, the music video production itself is a great job with fewer resources. Melina's fan will definitely love to watch her featuring in her own song. Give her a thumbs up! Watch it, love it, share it! Subscribe and support Nepali music. Some of you might not know who is Hridayendra Shah though the name naturally sounds like a former Royal family of Nepal. Yes, your assumption is absolutely right - Hridayendra Shah is son of former Crown Prince Paras Shah and Princess Himani Shah. He was born on 30 July 2002. Until the abolition of the Nepali monarchy Hridayendra Shah was known in Nepal by the title young Crown Prince. In July 2008, Prince Hridayendra left Nepal with his mother Himani Shah and sisters to move to Singapore to join his father Parash Shah who had been making arrangements for the family to live there. Today, Nepali young astrologer Manish Sapkota reads the movements and relative positions of celestial bodies of former Prince Crown Hridayendra Shah. Astrologer Manish recently predicted about Miss Nepal Shrinkhala Khatiwada's participation and consequences in Miss World 2018 competition in China. Most of his reading came true to a extent. What and how do you feel after learning this reading of Manish Sapkota? We are interested to hear back your feedback and comment. Who is most beautiful Nepali actress? There can't be a definite answer. It depends on person to person's choice and taste. Someone would say Karishma Manandhar is only one beautiful Nepali actress, bot in other hand someone else would say Priyanka Karki. Whatever the answer could be about beautiful Nepali actress, Kendrabindu TV has posted a video with compilation of 7 most beautiful Nepali actresses on their video channel. Samgragyee RL Shah is one of the beautiful actress among young generation in Nepal. The list could be long if you keep adding choices of different genre, like Jasita Gurung, Namrata Shrestha or Jharana Bajracharya. To know more, who Kendrabindu TV has picked the most beautiful Nepali heroin you have to view the compilation. You may find odd or unreasonable of listing in the video, so we want your feedback and comment to know your choice. Love and support Nepali movie. Miss Nepal Shrinkhala Khatiwada returned home last night from China. There were many supporters and fans at the Tribhuvan International Airport to welcome and cheer Miss World 2018 contestant Shrinkhala Khatiwada. She was greeted with 'Khada' and 'Mala'. Thought it was midnight there was a mass of public and media persons as well. Shrinkhala started her arrival speech with thanking to all Nepalese who supported and voted her to win Multimedia & Beauty With Purpose Awards. She was so overwhelmed that her eye were shed with tears, may be of joy and oneness. Miss Nepal World 2018 Shrinkhala also expressed her disappointment about online voting practice not being transparent. Nepali online media representatives were much excited but scrambled. We warmly welcome our proud Miss Nepal Shrinkhala Khatiwada to home. You have won the hearts of all Nepalese at home or abroad. We also wish you all the best for your future endeavor. Singer Melina Rai's new song 'Lau Gori' is released now. 8K Everest Motion Pictures has published the music video on its Youtube channel and trending as well with 412K views, 10K viewers engagements. Singers Tekendra Shah and Melina Rai have duo vocal on song. Actress Barsha Raut and Akash Shrestha are paired in casting. Barsha and Akash are real jodi of life too. 'Lau Gori' video is produced by Manoj Basnet in the direction of Rajiv Samar. Though the song is trending in Youtube Nepal and gained good views with engagements, 'Lau Gori' is not above average song in terms of music quality. Video making is just average. Having said that, singer Melina Rai and actress Barsha Raut's fan and followers have already started to like the song and video which is proven being trend on Youtube. Our best compliments and wishes are for entire team of 'Lau Gori'. Keep watching Nepali songs and video. Love it - support it. This is the scene of a special announcement program of new Nepali movie 'MARUNI' in Kathmandu, Nepal. The movie is being produced by Poonam Gautam. Major casts of this Nepali film are actress Samgragyee Rajya Laxmi Shah, Puskal Khadka and Rebika Gurung. Nawal Nepal is directing the Nepali movie 'Maruni'. Director Nawal Nepal had previously directed Samragyee RL Shah and Pushpal Khadka in the movie 'Mangalam'. The movie is a triangular love story film between 3 lead actors. Who is Samragyee RL Shah? Samragyee Rajya Laxmi Shah or Samragyee RL Shah is an award-winning Nepali actress and a model. She started her film career in year 2016, debuting in Bhuwan KC's movie 'Dreams'. Samgragyee Shah was born in 18 November 1995. 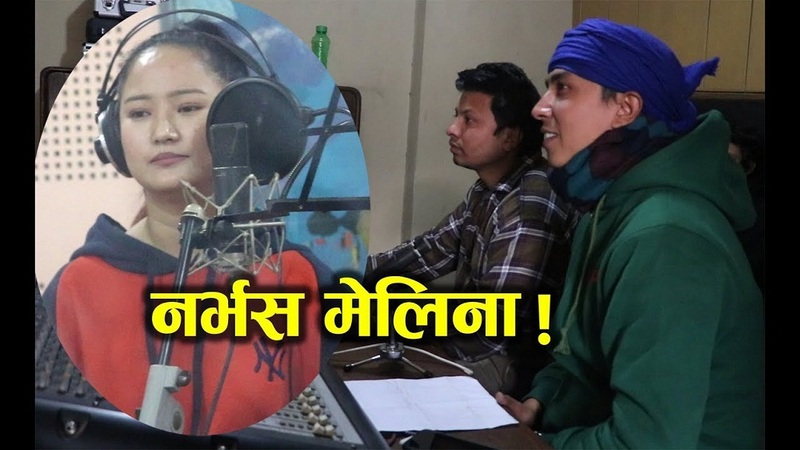 A Youtube video title just caught our attention which says 'why singer Melina Rai got shy in front of musician Pushpan Pradhan?'. The conversational video clip was published by Filmy Nepal today. We can see in the video that Melina Rai is recording a song for Nepali movie 'Summer Love'. Musician Pushpan Pradhan and recordist both are conducting the recording with dictation. Singer Melina Rai is one of the most busy and popular singer in Nepal. Her movie songs have been successful to achieve millions of views in Youtube. Melina also frequently visits foreign countries for musical programs. We hope you will love to watch the video till the end. We are wishing for early release of the official song and success of it - both song and singer Melina Rai.